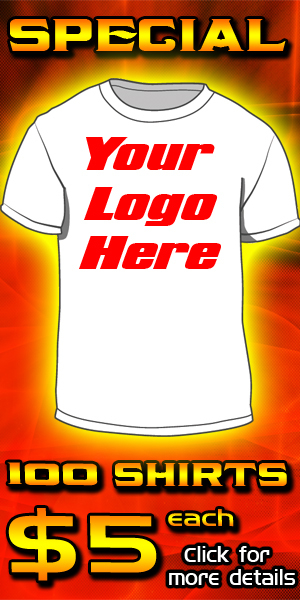 For years Jason Hogan Designs has been providing clients with the highest quality ScreenPrinted Shirts, Embroidery, Signs and Promotional Products at the best prices around. We're all about quality and that is obvious in all our work. Why should you choose to use Jason Hogan Designs for all your ScreenPrinted Shirts, Embroidery, Signs and Promotional Products needs? Well you only have to rely on one company, one resource, one phone call. It means convenience and confidence when that next job rolls around. It also means no more pulling your hair out when your deadline is right around the corner because you've hired the best to handle your project. We know how busy business can get and we know how to make it easier on you by doing our part and doing it well. quality service you've ever experienced in a Print Company!